It’s not uncommon to hear in popular culture that you should be forgoing gluten and dairy free. Both gluten and dairy have been viewed as comfort food across most cultures, but many of us don’t understand why. This post addresses 5 reasons to go gluten and dairy free. Both dairy and gluten have changed over the years, and I’ve spent a lot of time researching why it doesn’t work, especially for those with Hashimoto’s & PCOS issues. That being said, even if you don’t have these issues, you might be struggling with inflammation & bloating. Or maybe you just want to see why people are following this ‘trend’? Perhaps you just want to limit your gluten and dairy intake? I’ve spent a lot of time researching studies and have looked at both sides of the coin to understand why modern dairy and gluten might not be conducive to a healthy diet anymore. 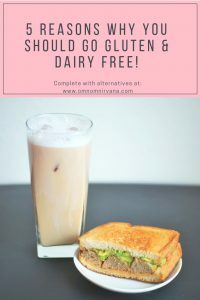 I’ve also provided some great dairy-free and gluten-free options for you at the bottom of this post. When you look at pre-packaged commercial bread, it’s filled with a ton of preservatives and colouring. What it should really have are the basics: flour, salt, yeast and water. Unless your bread has only these ingredients, you should probably re-evaluate the quality of bread that you consume and look into baking your own or even consider purchasing artisanal bread. Even flour nowadays is bleached, so look at your source and research. Try to have whole wheat or sourdough bread instead that isn’t as bad, because wholewheat gives you a good amount of fibre and sourdough adds a probiotic and fights against the phytic acid that makes us bloated from gluten. Again, if you have Hashimoto’s/PCOS, you most probably have a weak gut that makes the gluten difficult to digest. Here is a diet that should help. Removing gluten from your diet in general might result in less bloating overall, so if you want to see how it individually affects you, I suggest removing it for two weeks and then slowly try to reintroduce it slowly to see how you feel. 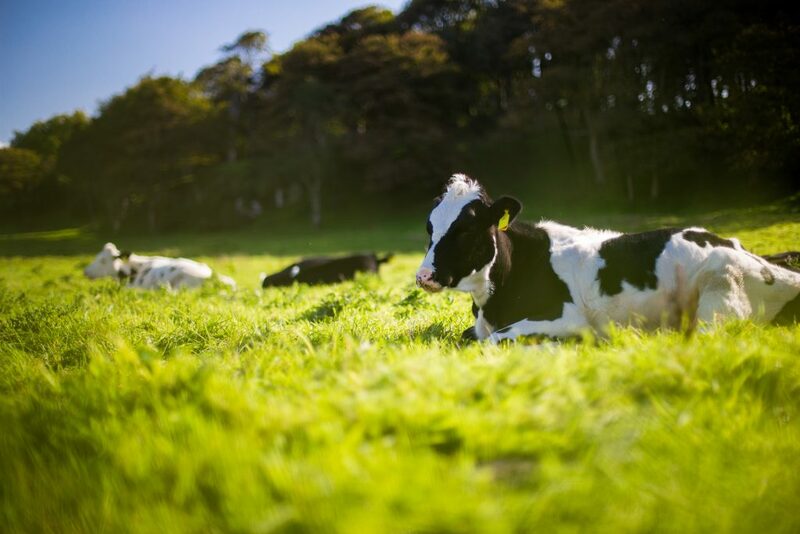 In terms of dairy, you really need to look at it from a humane perspective as well as a nutritional perspective. Most of us are lactose intolerant without even realising it. As a child, up to the age of about 7 years old, most are able to digest lactose, but depending on your genetic makeup, your ability to digest that may decrease over time. I get the runs everytime I consume animal milk in any form, which clearly means it doesn’t suit me. There could be other signs too. Like weight gain or even bloating. You also need to realise that we are the only animals on earth that depend on another animal’s milk. Lactose and casein are both detrimental for those with Hashimoto’s and PCOS issues. Here is a study to prove that science. You also have to understand where your dairy is coming from, even if it was from grass-fed cows. The milk source should be free range too if you choose to consume dairy. You also need to think about the fact that the animals that give you milk are often filled with hormones to produce more as well as are put in terrible conditions. Feeling more lethargic than usual? A lot of us don’t even realise that we are gluten intolerant, if not celiac. You could experience a variety of symptoms that indicate that you cannot tolerate gluten. This could vary from cramping badly to body aches and even dizziness. 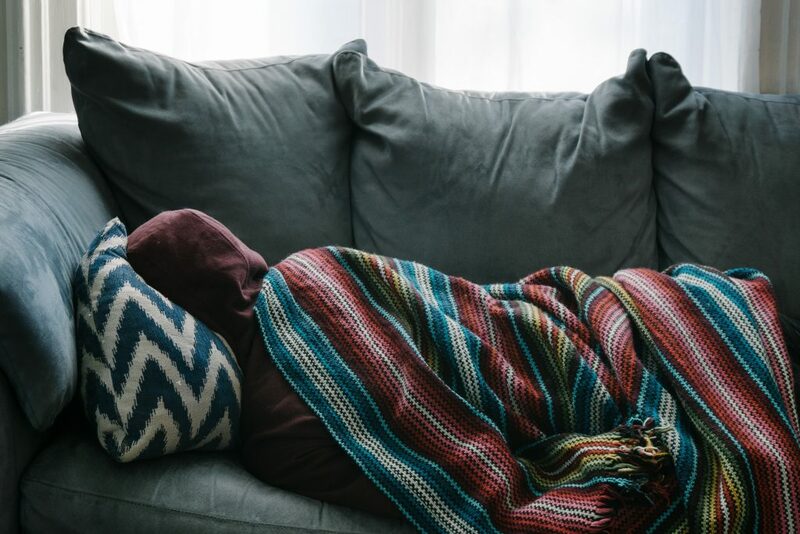 Some people even note depression as a symptom, as it could affect your gut, which directly affects your serotonin levels (better known as the happy hormone). Consuming dairy could result in bloating, diarrhoea, nausea and a leaky gut. Modern dairy is usually the root cause of inflammation in the body. Besides this, the dairy we consume these days is extremely high in sugar. You might want to consider either trying butter, kefir or even yoghurt to see if it suits you better, but for people with Hashimoto’s & PCOS, I will reiterate: stay away. The worst thing about today’s day and age is that we have no frickin’ clue what to believe because of the overload of information, misinformation as well as the lack of information that comes with how the products we consume are. Are organic sources truly organic? How do you define a sustainable source of food? It might be worth researching the products you consume in order to define what you are eating and whether it’s truly worth putting in your body. Unfortunately, this requires a lot of time and effort in getting to know your body. The upside is, you’ll be better for it. Most of the lifestyle diseases we face these days are a direct result of what we consume on a daily basis. It’s important to assess your diet and see if it ticks all the boxes in terms of nourishment, macros and calories. 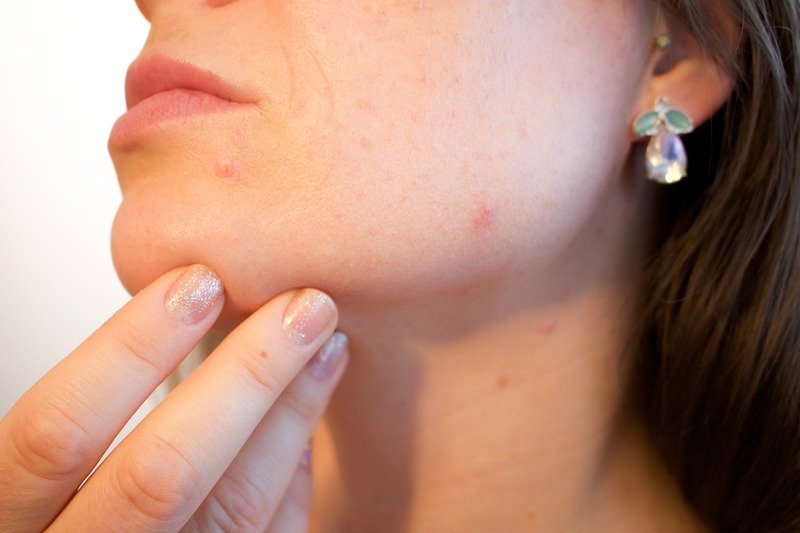 Both gluten and dairy can result in acne breakouts as they both assist inflammation and are your body’s way of telling you that something is wrong. Having these issues can be quite harrowing to an individual. While there have been no medical studies to indicate that gluten can cause acne, dairy has proven to cause it, based on this study. While we may look at the paleo diet as a mean to lead our lives, it’s also important to assess our cultural and genetic backgrounds in order to decide whether gluten or dairy is good for you. On reflection, I have realised that South Indians typically do not have gluten in their diets historically, so it’s pretty much a no-brainer that my body may have not adjusted to it. This may be different for my brother who can consume gluten without any issues as we have eaten bread over the years across two generations. However, this new sense of awareness that grows when you eliminate something and then reintroduce it is the best factor to see if something suits you or not, no matter what your intolerance test tells you. The dairy effect could vary on you, depending on the source. Now that I’ve given you my rationale & reasons to go gluten and dairy free, here’s how you can fill the gap and substitute them in your diet. Let’s just start off by saying I am not an advocate of gluten-free labelled stuff. Pretty much anything that comes in a processed form and labelled gluten-free in my opinion should really be chucked out of the window. 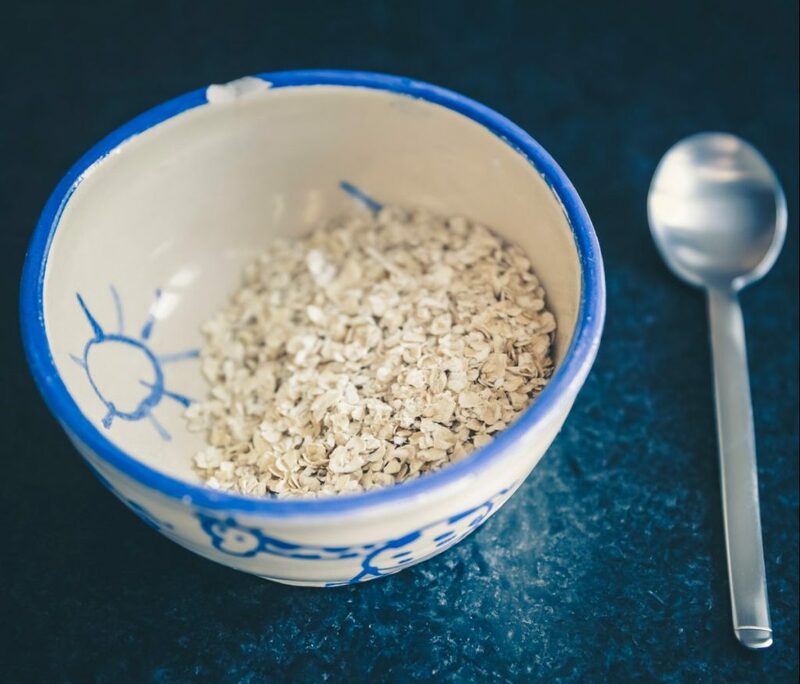 Great alternatives I’ve found are gluten-free oats, brown rice, quinoa and buckwheat. You can have these in the form of a crepe or a flatbread, and they are relatively inexpensive. You just need to invest the time in making these. All three of these provide protein, carbs and plenty of fibre to sustain me throughout the day. You can also add some starch such as potatoes or sweet potatoes to your diet to fill you up. Again, I would advise against the conventional plant-based milk on the market as they contain a ton of preservatives. I opt for organic coconut milk from the store and the occasional almond milk I make myself, but nothing else. You will find a large variety in the market, ranging from oats milk to cashew milk. Just make sure you read the ingredients and go with what works best for you. This may involve some trial and error, but you’ll be the better for it. Hope you enjoyed this post. Let me know if you have any doubts or comments below! Note: My advice doesn’t replace a dietician/a medical service provider’s advice. It stems out of my personal experience and research.This post may contain affiliate links at no extra cost to you.